Let the wind blow. Your new roof can handle it and more. 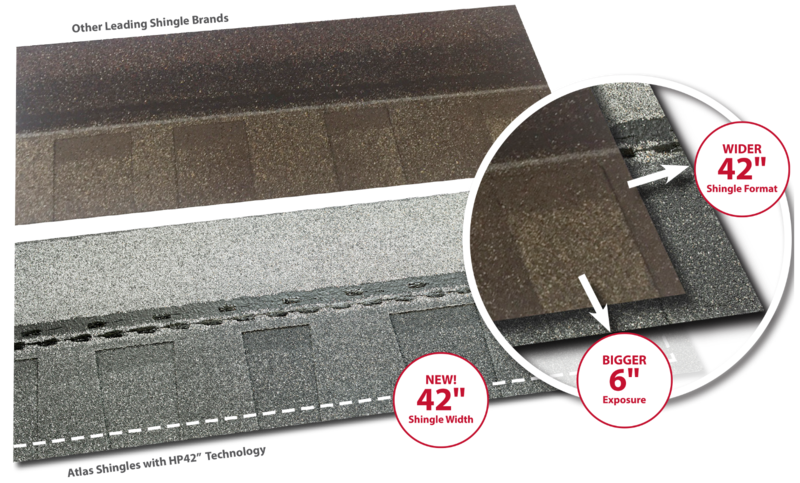 New Atlas HP42" shingles stay put in the roughest of conditions  winds up to 150 mph. Your protection starts when the hammer hits the nail. The wider shingle format, along with the enhanced Sweet Spot nailing area, means your roofer hits the mark every time. Want curb appeal? You got it. The upscale architectural profile and 6" exposure make your home the envy of the neighborhood. 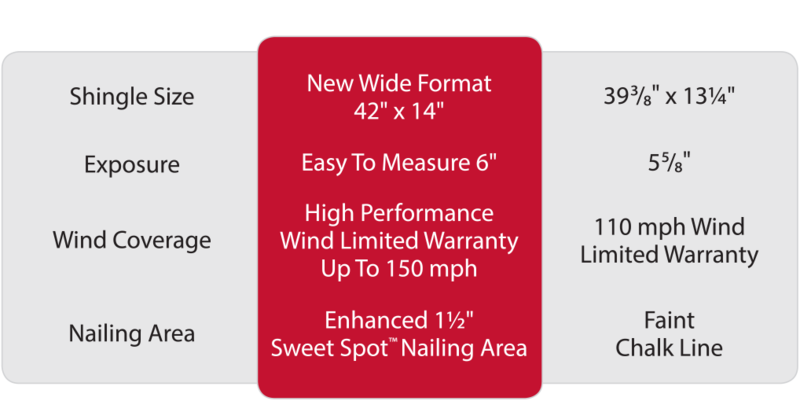 The two most important components to keeping shingles attached to a roof  the Sweet Spot nailing area and the double FASTAC® adhesive sealant line  set the new Atlas HP42" shingles apart from the competition. You can be confident that your shingles will stay put. The new Atlas HP42" shingle features a 1½" nailing area (larger than the industry average) and the double adhesive sealant line that has earned it a wind protection guarantee up to 150 mph. They stay better and stronger. 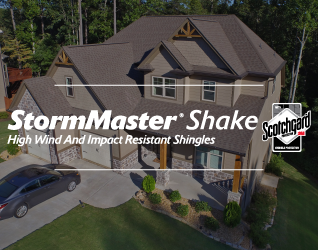 Compare that to the 110 mph wind rated shingles on your neighbor's house during the roughest of storms and you'll see why it makes a difference. New Larger Shingle Size Bigger means faster. 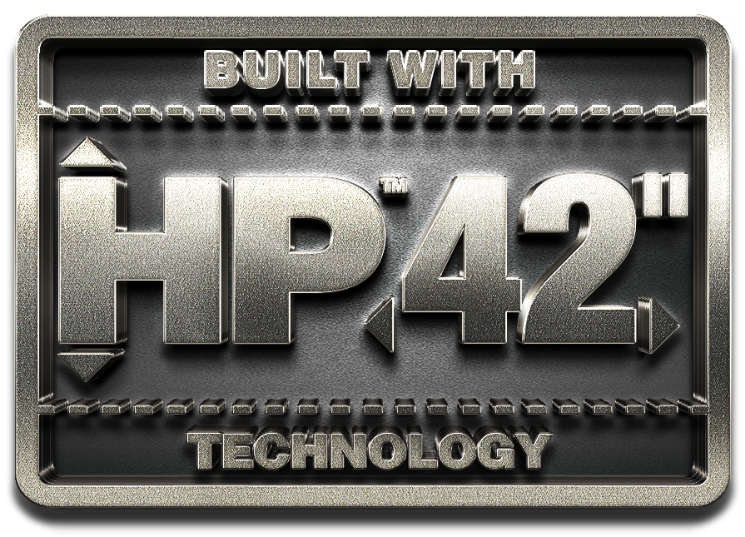 Atlas super-size HP42" shingle requires fewer laps  which means installation goes quicker and the crew is on and off your roof in record time. Greater Exposure Bigger means a better look. A 6" shingle exposure gives your home stunning curb appeal compared to shingles with smaller exposure. Enhanced 1½" Sweet Spot™ Bigger means more efficient. 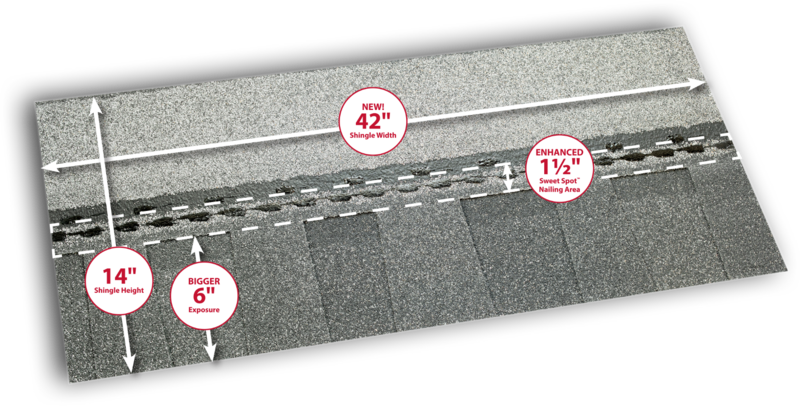 1½" enhanced Sweet Spot nailing area and FASTAC® double sealant line means roofers hit their mark every time. Zero Waste Design Bigger means less waste. Installing Atlas HP42" shingles is environmentally friendly  less waste for the landfill, quicker cleanup and a faster job. ↑Helps resist the black streaks casued by algae. We'll help you create it with Design Inspirations from Atlas. 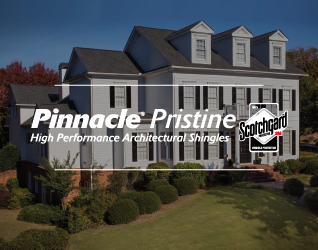 See your new shingles before you decide.